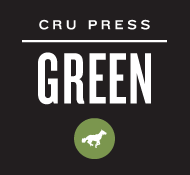 Cru has no central funds for paying salaries and ministry expenses. Like many other missionaries, we depend upon the consistent financial support of concerned individuals and churches. These contributions are used to fund our ministry. We are specifically trusting Jesus to find 19 new partners giving the equivalent of $100 per month or $1200 per year. Would you join with us by giving a special gift this month or by joining us as a monthly partner? This will help us continue toward the vision of movements everywhere so every person in the world will know someone who truly follows Jesus. You can give by credit card or bank account debit and set up new monthly gifts here. See below to change your existing automatic giving. To make a one-time contribution by credit card, call 888-CRUSADE (888-278-7233) option 1, option 1. You will receive a giving receipt from Cru headquarters. This receipt will contain an envelope and tear off sheet for your next gift. 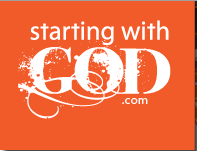 Log into the “Your Recurring Gifts” section of give.cru.org. Call 888-CRUSADE (888-278-7233) option 1, option 1. To give stock or for help with other options, call 1-888-CRUSADE (option 1). A great way to know how to pray for us is to receive our monthly email prayer letter. You can also include your mailing address if you would like to do so. I loved this website. It was very encouraging to receive the “thank you video”. How honored we feel to be part of your ministry! Claudio and Flavia – We are so glad to be partnered with you both!